A woman walks along Westmoreland Drive in Falmouth. The article “Bid to go green leaves town with the blues” (Page A1, Jan. 24) does not fully capture the serious health and economic issues faced by those living near industrial wind plants. 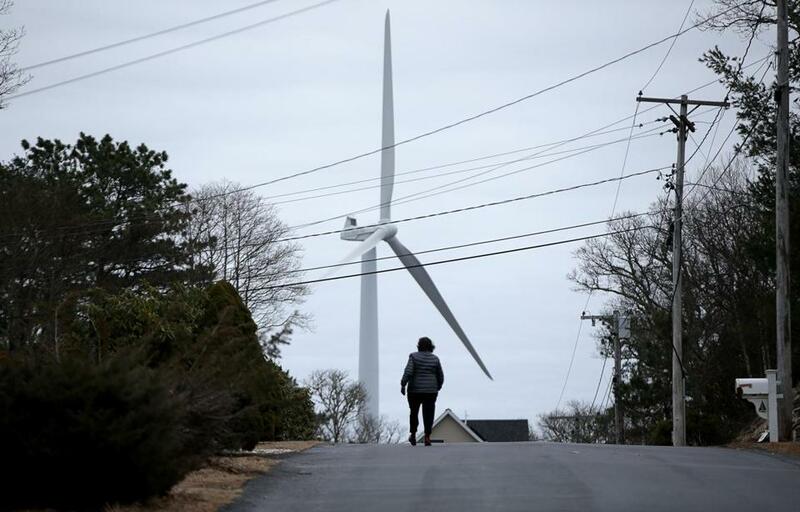 Residents submitted hundreds of complaints to Falmouth health officials regarding the two wind turbines at the town’s wastewater treatment plant. This certainly indicates that the problem is much larger than some would like to admit. How many times do the afflicted residents of Falmouth have to fight for the acknowledgement that they experienced health effects from the turbines? I suggest that the Globe consider its own 2014 article by Bella English, which quotes Dr. Steven Rauch, a specialist at the Massachusetts Eye and Ear Infirmary, regarding the veracity of complaints by people affected by wind turbines. The goal to achieve increased renewable energy sources is admirable. But to blindly support wind turbines in residential areas without first understanding the health, economic, and environmental consequences is just poor government policy.